For loft, roof & acoustic insulation and sound protection. Insulation Services include: Insulation of pipes, tanks & lofts upgrade to loft hatch’s Draught proof windows and doors, Check ventilation and air flow to structures. Loft boarding and floor upgrades, roof upgrades. These can save up to 25 % heat loss . 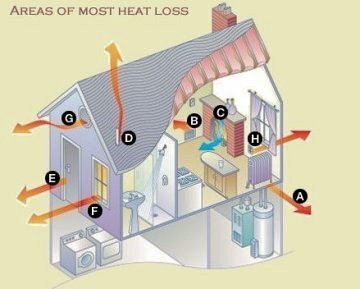 Your home or building loses more heat through the roof space than any other part of your home and with the heat going through the roof so do your bills in trying to keep your home warm. We can give you an all in price for bringing your insulation up to the required and recommended level, including roof space, lagging pipes and hot water tanks, we do our utmost to cut your bills and make your home warmer. There are several ways to insulate your loft or attic. Often people think of the traditional rolls of fibreglass insulation that are laid between the joists. However this is often not the best way as fibreglass is not as efficient at controlling heat loss as other more modern (and more green) materials. Our teams place loft insulation quilt into traditional pitched roofs and as the depths of insulation have increased in recent years, the expertise and attention to detail necessary to carry out the work satisfactorily has increased. The current recommended depth for a domestic installation is 270 mm, compared to an UN-insulated loft, you can expect payback in 1 to 2 years and save over 1 tonne of CO2 emissions per year. If you are topping up your insulation to the recommended level then you could save enough money within 4 years to pay for the investment. Our installers are trained to the highest standards so whatever material is being installed then you can rest assured that the work will be carried out quickly, competently and with the minimum of disruption to your home. Home insulation services. Building Insulation. Loft and roof insulation. Sound protection and acoustic insulation.